This Beauty of a Blender could be Yours for FREE! 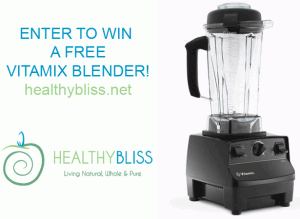 Imagine starting the New Year with a Vitamix Blender…for FREE! 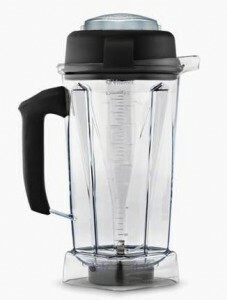 Thanks to the generous folks at Vitamix, I have one FREE Vitamix Blender to giveaway this holiday season! This blog post will tell you everything you need to know about the FREE Vitamix giveaway, so keep reading and be sure to add your comment below! In addition, I’m also offering a FREE online Iridology Analysis and a FREE Green Smoothie DVD and eKit to the lucky winner. This is our way of saying ‘Thank you’ to all of my loyal Twitter followers, clients and Facebook friends. If we are willing to offer you the chance of a clean, fresh start to your health and well-being for 2013, you better believe that we believe in what we do and we believe in you too! 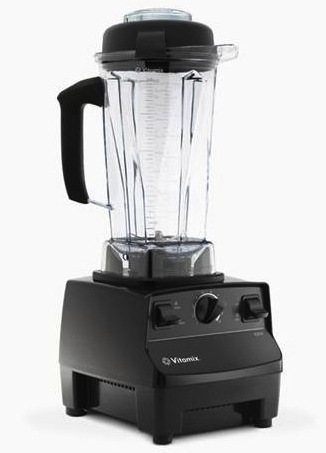 Just in case you don’t know what a Vitamix is, it’s a blender. That means it blends the fiber and the liquid of whatever you put inside. It is not a juicer (a juicer separates the fiber from the liquid, leaving only the liquid for you to drink). A blender is very practical for busy people because it takes a just a few minutes to prepare your creation, is very easy to clean, and with a blender, you get all the nutrients from your food plus you get the fiber too. Most people are simply not eating enough fiber in their daily diet; the result can lead to poor digestion, acid reflux, arthritis, bad skin, weak liver, sluggishness, foul breath and even restless sleep. Getting fiber in your diet is so easy when you simply have 1 healthy smoothie a day. Add superfoods to your smoothie and you can really maximize the power of your foods to get the most fiber, nutrients, minerals and chlorophyll – all valuable tools for healing and all elements needed to make you feel that Healthy Bliss! The ‘BMW’ of blender motors! Now you know that the Vitamix is a blender. But I didn’t mention that it is the BMW of blenders. Well, it better be…for a price of $449.00 USD!! It’s the dream blender of every raw foodist and health enthusiast I know, including me! 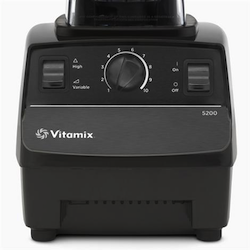 The reason why the Vitamix Blender is considered the best blender on the market is because it has an excellent motor, it’s extremely well made and it’s guaranteed for 7 years. You can blend anything in this blender thanks to that motor, even an avocado seed, it’s true! This is a blender that lasts for life; that’s why people pay a lot for it, because it’s really a long-term investment in your health. I am really excited to have the chance to give this away because I’ve seen the change that my clients have made, and I know that good food is the key. Enter in the Comments below to Win! Iridology is the science of the iris, or colored portion, of the eye. The iris is connected to every organ and tissue of the body by way of the brain and central nervous system through the optic nerve. The optic nerve connects to the central nervous system (CNS) which is the main communication link to everything that goes on in the body. 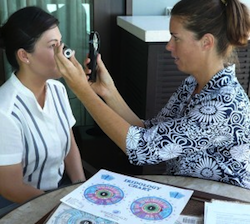 Jennifer Thompson is a Certified Comprehensive Iridologist (CCI) and offers a complete Iridology Analysis via Skype, email or phone. After taking your iris photos with a digital camera or iPhone, you will email the photos to Jennifer and arrange a time and day to discuss the results. During the reading, Jennifer gives you a good, clear understanding of where your body is at in terms of strengths, weakness, imbalance and any areas of toxicity or inflammation. She makes recommendations for improvement that may involve doing some form of a detox (colon cleanse, heavy metal detox, kidney cleanse, skin cleanse, etc) and a change in diet that may include adding certain foods to your diet and reducing/minimizing others. The skype call is 1-hour in length and is recorded. The video file is sent to you by email after the call. Any skype chat is also sent by email after the call so you have all records of any scientific terms discussed. Follow-up Q&A by email is available for up to 2 months your consultation to ensure you have all knowledge and information needed to achieve your goals. 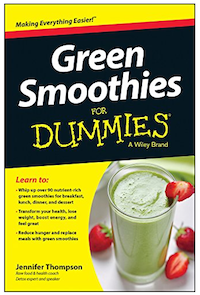 Jennifer’s Instructional DVD will make you a Green Smoothie Expert! Find out for yourself why thousands of people are turning to Green Smoothies for more energy, better health, detox & weight loss! Are you not experiencing the level of energy and good health you desire? Green Smoothies could be your answer to start getting results. 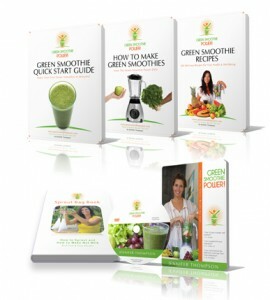 Jennifer’s NEW Green Smoothie Power DVD teaches you how! With the DVD, you also receive 3 eBooks. Use the Quick Reference Guide eBook to get started immediately. 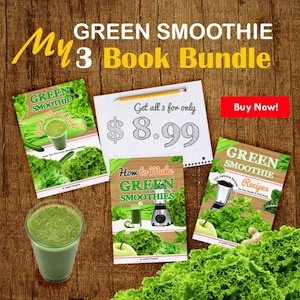 Read the How to Make Green Smoothies eBook for inspiration and motivation. Experiment with 200 amazing recipes in the Green Smoothie Recipe eBook. You can be making your first Green Smoothie within minutes! Here’s a fun recipe to make in a your new Vitamix Blender: Hearty Selenium Boosting High Anti-Oxidant Smoothie! 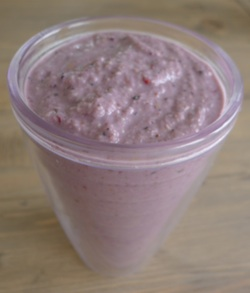 This Smoothie is so fast, easy and yummy! It’s perfect for a cold winter morning or after a workout when you’re really hungry and want something filling! Now that’s some Healthy Bliss! Place all ingredients in a blender. Blend until smooth. Pour into a glass and enjoy! Blackberries are very high in anti-oxidants (for immune system); Tahini is high in calcium (for the bones); Walnuts are high in selenium (for the brain); Aloe vera is great for the skin and digestion. Let your food be your medicine! What is one positive change that you’ve made in your diet and how has your health improved as a result? That’s it, you will be entered in the giveaway. All entries must be received by 25 December 2012 at 12 midnight USA EST. The winner will be announced on 26 December, 2012 at 12 noon USA EST. The winner will receive a FREE Vitamix Blender, a FREE online Iridology Analysis and a FREE Green Smoothie DVD eKit course. This contest is open up to all entries worldwide. Please note: The winner will receive a blender with whatever voltage is required for their country (either 220v or 110v). Any import duties imposed at delivery (for an international winner outside of USA or EU) are the sole responsibilty of the recipient. Your comment will not appear immediately as all comments are moderated for spam before approval. The winner will be contacted by email, and will also be announced on my Twitter feed and Facebook page on December 26, 2012 at 12 noon USA EST. Thank you! Lois and Earl Stokes of Volcano, Hawaii!! Thank you to everyone who entered this amazing contest…I wish I had a free Vitamix to give to all of you…..your stories of healing touched my heart!! 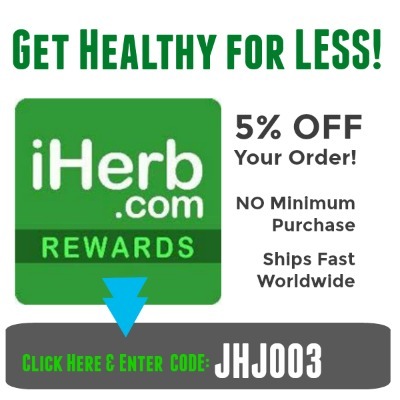 https://healthybliss.net/bliss/wp-content/uploads/2012/12/vitamixgiveaway1.jpg 450 650 Jennifer Betesh https://healthybliss.net/bliss/wp-content/uploads/2014/11/hb_logo_01.png Jennifer Betesh2012-12-05 12:13:282014-11-13 11:33:06Enter my FREE Vitamix Blender Giveaway here!